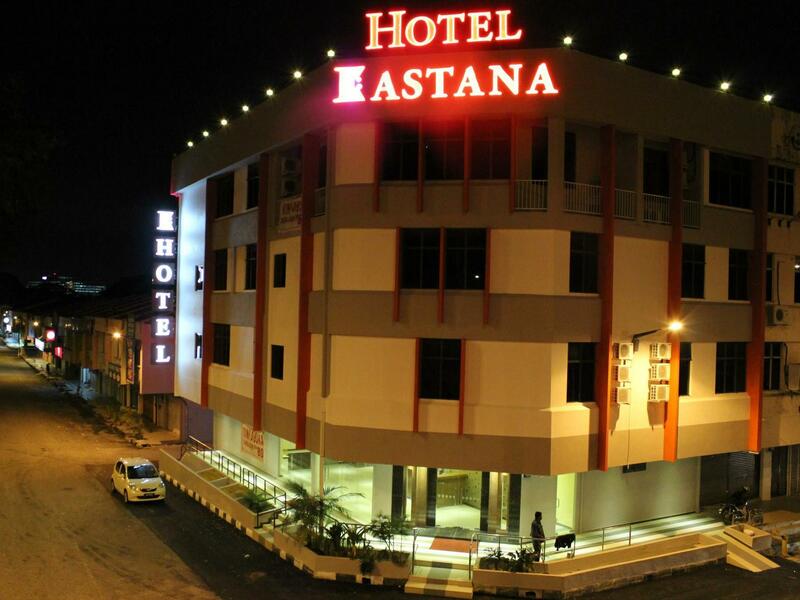 Имате въпрос към Hotel Eastana? Удобно проектиран като за бизнесмени така и за почиващи туристи, Hotel Eastana е идеално разположен в Град Ипох - една от най-посещаваните части на града. Този 2-звезден хотел е леснодостъпен, тъй като е само на 7.7 km от летището. С удобното си местоположение хотелът предлага лесен достъп до всички градски забележителности, които задължително трябва да се видят. Hotel Eastana също така предлага много съоръжения за обогатяване на Вашия престой в Ипох. Безплатен WiFi достъп във всички стаи, ежедневно почистване, 24-часова рецепция, съхраняване на багаж, Wi-Fi връзка в общите части са само част от нещата, които отличават Hotel Eastana от останалите хотели в града. Като допълнение всяка хотелска стая предлага широка гама от удобства. Много от стаите са с телевизор с плосък екран, безжичен интернет достъп (безплатен), стаи за непушачи, климатик, телевизор, за да удовлетворят и най-изискания вкус. Освен това в хотела можете да се възползвате от множество предложения за приятно прекарване на свободното време. С перфектното си местоположение и несравними удобства, Hotel Eastana е един чудесен избор в много отношения. На разположение е шатъл бус от най-близката спирка до обекта от 11:00 - 19:00 ч. Свържете се с обекта за повече информация. The hotel is a little further from the transport hubs than would be ideal, but the room was quite pleasant and it's not so far to the riverfront area. Overall, a good budget hotel if you don't mind a walk into town. Room is small. But bigger than Valenza hotel room. LG TV had HBO. Air conditioner cold. Toilet was as usual small but usable. Hot shower. Free parking at public car parking. Hotel staff will take care of it. 1. 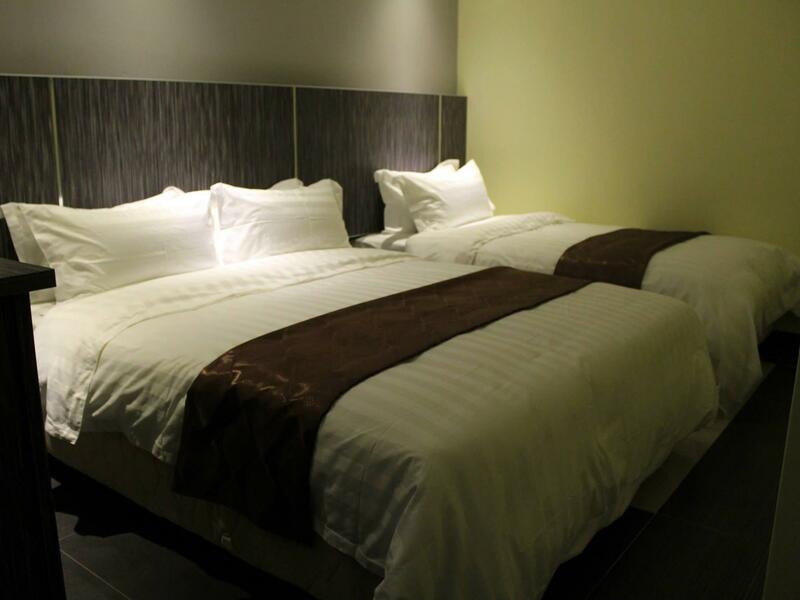 This hotel location strategic at Ipoh (by own transport), but go to town area a bit far if you are walking. 2. Very good staff who give us free upgrade room when he saw us with children. 3. Near to the town area. 4. Very suitable for those budget traveller. 1. 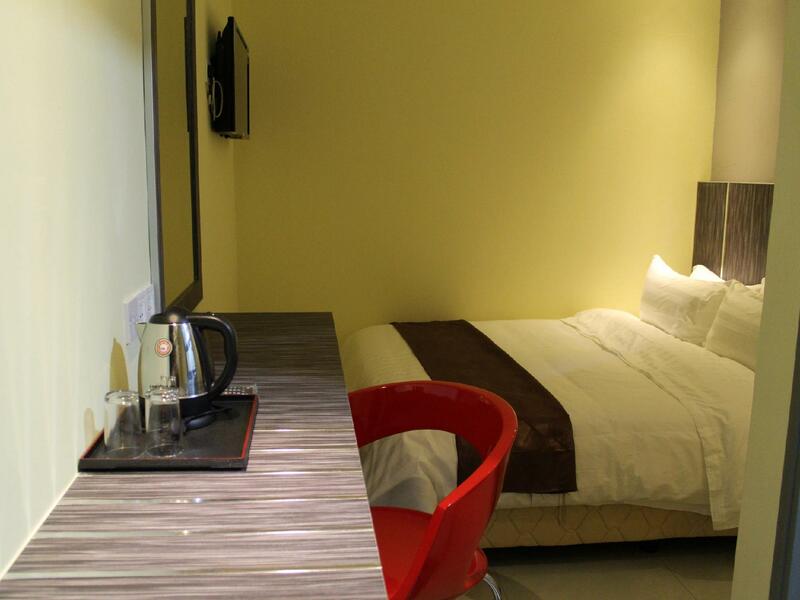 This hotel location strategic at Ipoh (by own transport), but go to town area a bit far if you are walking. 2. Very good staff who give us free upgrade room when he saw us with children. 3. Near to the town area. I went there for a triple room and my friends took a quad room. Affordable by students. Cheap, clean and comfortable. Not far from town too. Just the corridors are quite dark, the lightings should be brighter. A good budget hotel. There are not many restaurants within reasonable walking distance of the hotel. 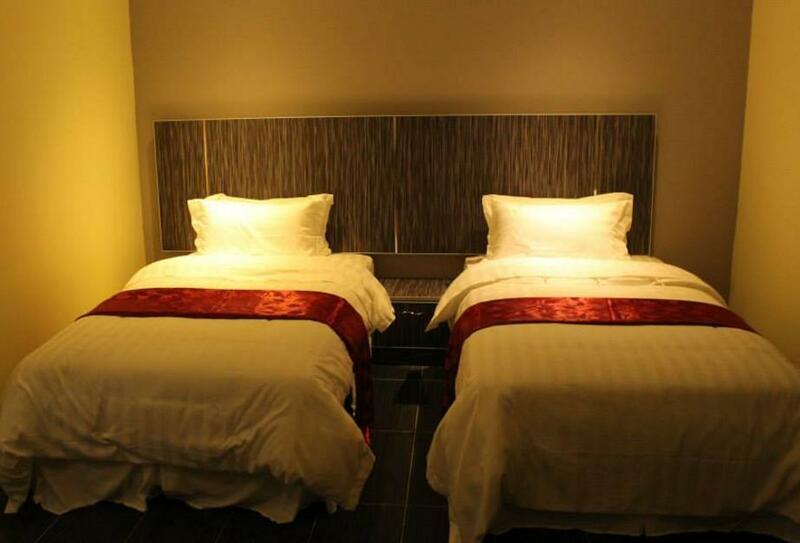 Room is a good size, comfortable bed, good shower. Taxi from train station about RM15. Quiet enough because it's out of the way. It was lovely. We were there during the long weekend to visit our relatives, so we didn't spend most of our time at the hotel. However, it was very comfortable. Although it's not located smack in the city centre, but it was quite close to F&B outlets etc. Our car was summoned as the hotel staff could not identify our car plat number due to the computer system breakdown ( as told...... ) the receptionist informed us they would put the ticket for us early in the morning and reminded us as long as we parked our vehicle in the parking lot. We parked quite near to the hotel considering we had lots of stuff to carry. Lila the morning receptionist pacified us that the hotel would be responsible to clear the summon for us.... I hope it would be settled ASAP.... and if there is no summon mailed to us in the future, then we would recommend the hotel. Tiny room and overpriced. The room is dark as there is only one light in the room, washroom is considerably tiny and dark as well. Didn't replenish toilet paper so we had to request from counter. No phone ro intercom to the reception too. Very quiet location and literally only handful customers. generally...ok. but toilet so dirty. need to clean the floor in the toilet. use 'clorox'. 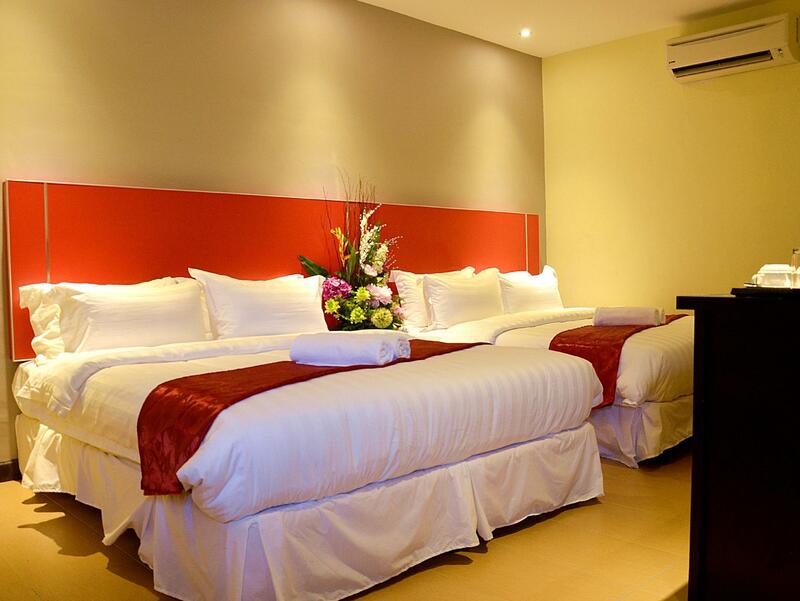 A nice hotel with reasonable price. Room very comfortable and clean. Staff very friendly. Good service. you can hear people stepping outside =.="
Good value for money. Great stay for overnight.